I am hopeless at NaNoWriMo (National Novel Writing Month), writing a novel, let alone doing a decent first draft in a month is something I find quite a hard ask (I'm not allowed to say I couldn't do it, because I could if I wanted to and if I had the right story, it's just not something I really aspire to). 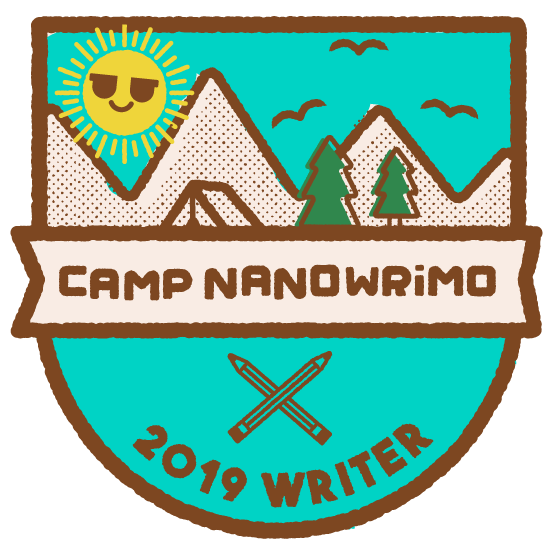 So I hear you cry, why are you doing Camp NaNoWriMo this month and why did you do it last year? 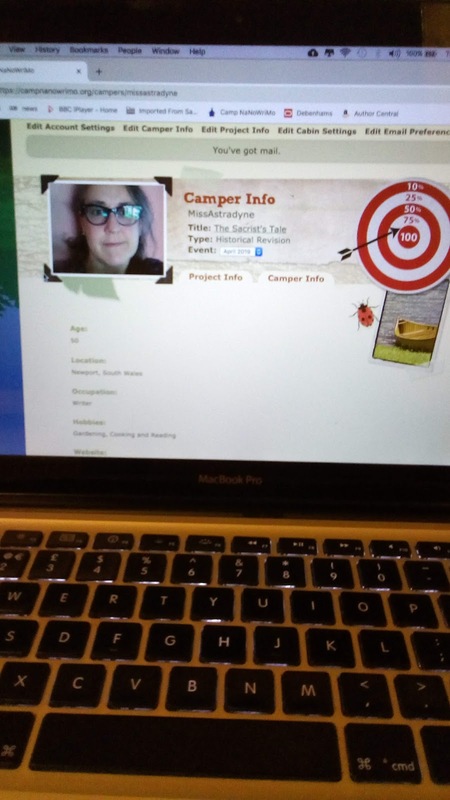 Well, you set your own goal at Camp, it can be as big or small as you want and you can change it up through the month if you want to/need to. Last year I wrote nearly all of 50 Years In The Making during the Summer Camp and this time I'm doing the 2nd draft of my novella (longer than a short story, shorter than a novel). I actually started this book during NaNoWriMo about 12 years ago and it's never really gone away, even though it sat on a shelf for a very long time. I've never wanted to just give up on the story though and so I decided that this year is the year to move it on. 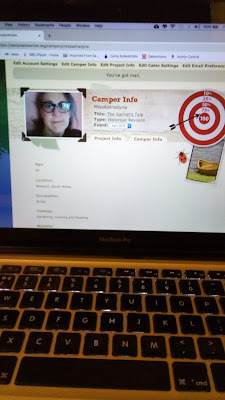 I've almost hit my target of completing the second draft. 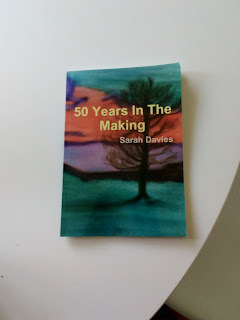 I'm really pleased with how it's going and it means that I know I'm going to go all out to publish the story in the Summer (hopefully without the wobble I had when I published 50 Years last year). I've really enjoyed reading the story and tinkering with the odd bits I knew I wanted to rework or add to.